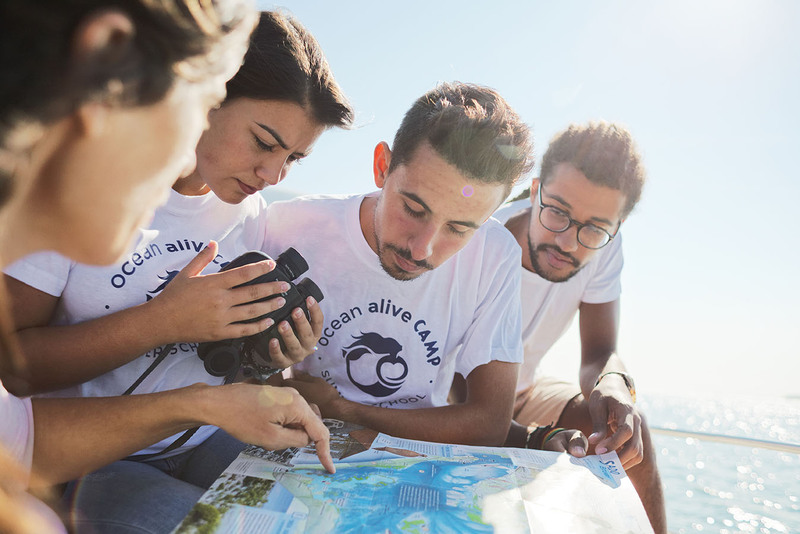 Ocean Alive is the first cooperative in Portugal dedicated to protecting the ocean. We envision a healthy ocean protected by coastal communities and we live on mission. We promote the protection of the ocean through marine education and the transformation of behaviour. The Ocean Alive project is focused on the Sado estuary where seagrass meadows are habitat for the nursery of a resident population of dolphins and for fish and shellfish so important for the fishing community. It aims to protect the seagrass meadows involving women from the fishing community that we call “Guardians of the Sea” (Guardiãs do Mar). The cooperative work focusses mainly on a marine education program, campaigns to raise awareness for marine protection and a program to monitor and evaluate the impact of the project on the seagrass meadows. 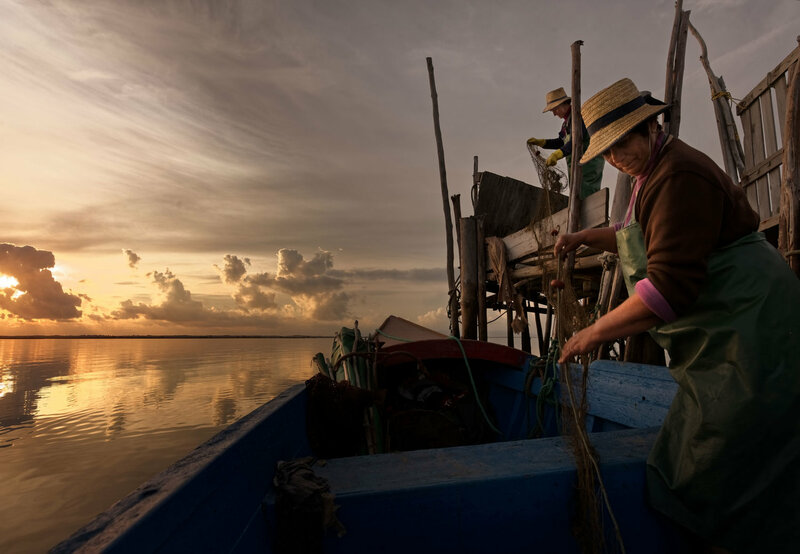 The Guardians of the Sea are women from the fishing community of the Sado estuary who collaborate with Ocean Alive in the protection of the seagrass meadows. Today they are 15. They play a catalytic role in transforming their peers' behaviours, necessary to eliminate the 3 threats that the local community poses to this habitat: fishing garbage, anchors and destructive fishing. Ocean Alive aims to benefit behaviour change by developing a certification of best practices that will provide an increased revenue from the sale of seafood in this community. The Guardians of the Sea participate in all Ocean Alive activities. Through a training program, we have created new professions and functions that value their wisdom and life story and give them a complementary income. The fisherwomen are marine guides for the educational program and for the marine experiences, they are awareness-raising agents for the campaign Fishing Without Trash and monitors of the seagrass meadows with the scientists. It responds to the global problem of plastic in the ocean and aims to sensitize shellfish fishermen for not leaving the empty salt containers (used for fishing) at the beach. 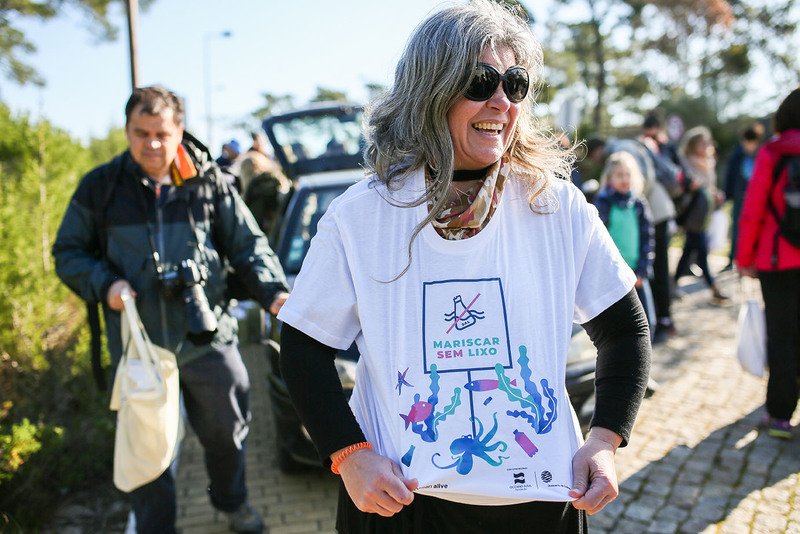 This campaign has three axes: direct awareness-raising actions through a network of Guardians of the Sea, women from the fishing community; monthly cleaning actions with volunteers; and a network of stakeholders in order to implement solutions that avoid plastic in the ocean (through sensitization, recycling and placement of containers in the fishing areas). Fishing Without Trash is one of the voluntary commitments to achieve goal 14 of sustainable development, enrolled at the United Nations Oceans Conference (# OceanAction15410). Since 2017, Ocean Alive has been sponsored by the Oceano Azul Foundation and the Aquarium of Lisbon to carry out major campaign awareness actions and to create a network of awareness-raising agents among women in the fishing community. Inclusive educational program in which local fisherwomen and biologists are marine guides. It is a practical experience for the students and supports teachers in teaching curricula.